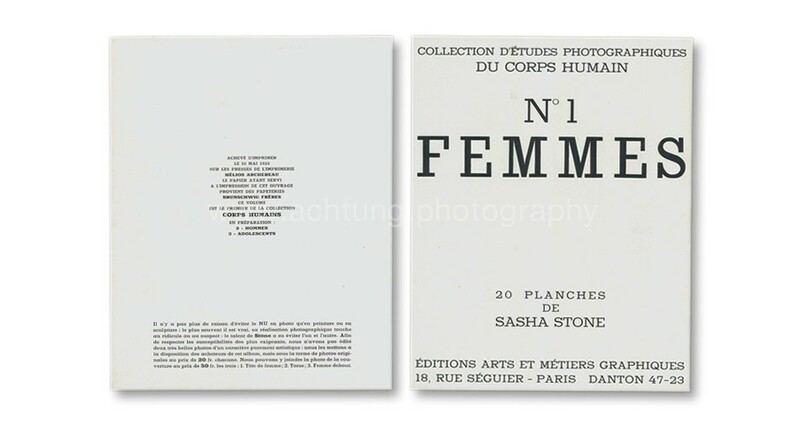 This delicate portfolio by Russian born Sasha Stone (real name Alexander Steinsapir) houses a collection of twenty two female nudes in black and white. 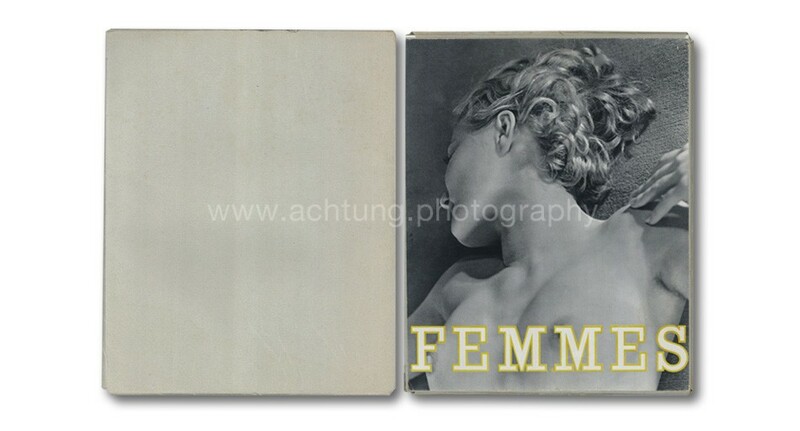 The images are printed on loose plates mostly printed full page, with the exception of plates 19 and 20, where two images appear on one plate. The gravure printing is rich and superb. 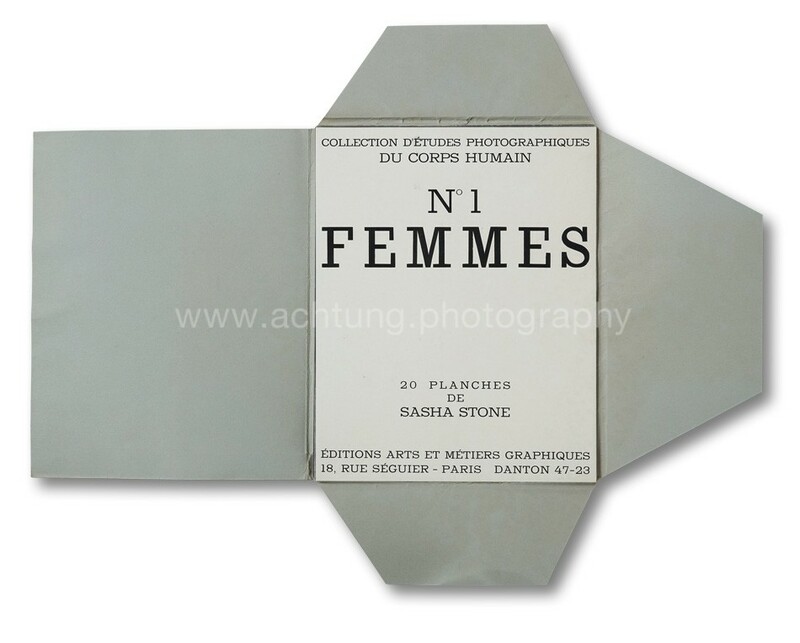 The intended series Collection d’études photographiques du corps humain, made it only as far as the first issue. Planned further issues such as No. 2 HOMMES and No. 3 ADOLESCENTS were never published. Stone, better-known for his work as graphic designer, shows off his skills as a photographer with well balanced compositions. Stone’s choice of angles, poses and lenses is rather uncommon for its time. A magnificent body of work. Two “purely artistic” photographs were excluded from the final portfolio. 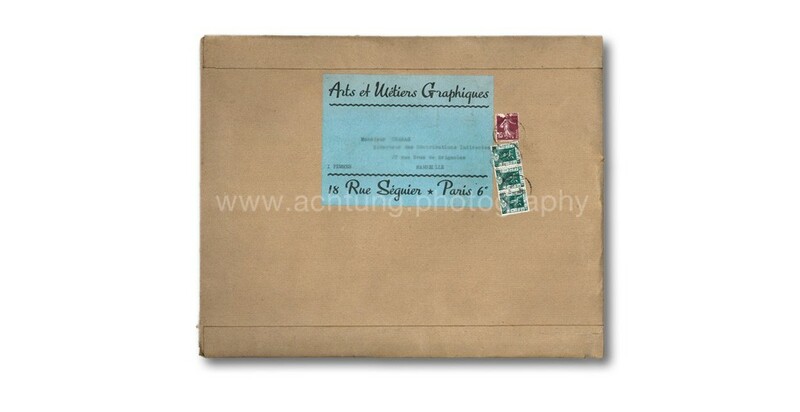 They were however available by mail order as real photographic prints for 20 francs each or together with the cover image as a set for 50 francs. This is explained in the text on the reverse of the title plate (see further below). The materials used to produce this portfolio are rather thin and fragile, which makes the few surviving complete copies of this publication now extremely sought-after. deux tres belles photos d’un caractère purement artistique : nous les mettons à la disposition des acheteurs de cet album, mais sous la forme de photos originales au prix de 20 fr. chacune. Nous pouvons y joindre la photo de la couverture au prix de 50 fr. les trois : l. Tête de femme; 2. Torse; 3. Femme debout. on the ridiculous or dubious: Stone’s talent is knowing how to avoid either. 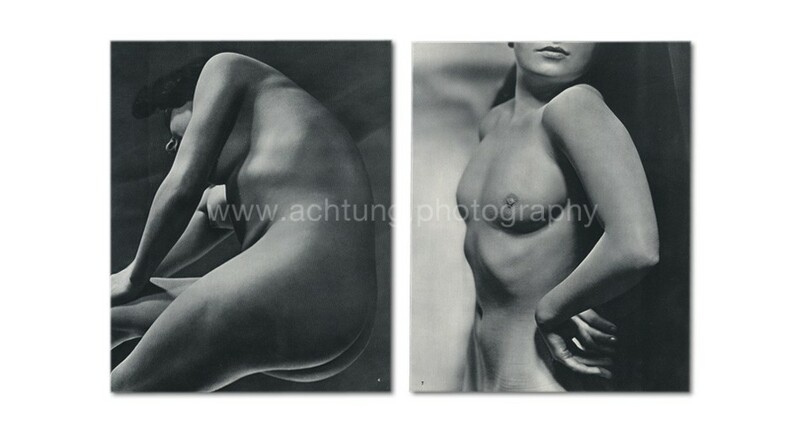 two very beautiful pictures of a purely artistic character: We do put them at the disposal of buyers of this album, but in the form of original photos at the price of 20 fr. each. We can add the cover photo for the price of 50 fr. for the three: l. Head of woman; 2. Torso; 3. Woman standing.